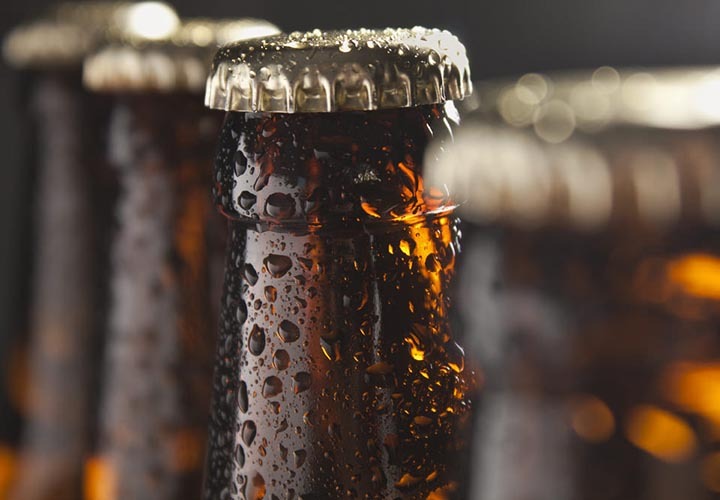 The UK is experiencing an upsurge in excitement around the craft beer movement and whether you like your craft beers bottled, canned, casked or kegged we will bring you great beers from exciting and creative breweries. We have new taps since January this year - these are our permanent line rotations: 1 Local (rotating with Neptune, Ad-Hop, Gibberish, Neptune) , 1 Non Local UK (Four Pure, Orbit, Beavertown), 1 USA ( Stone, Anchor, Flying Dog), 1 Foreign Export (Amundsen, Evil Twin, Lervig), 1 Sour/ Saison Line, 1 Dark Beer line, 1 Strong IPA line, 1 Session ale line, and our self titled "Alternate/Weird Beer line" which has had the likes of Cloudwater One-Off Belgian Plum ale, Lavender & Hibiscus Pale, Ice Cream Pale Ales, and more wonderful stuff. To give you a flavour of what you can expect, take a look at the tables below of what’s currently available. Reflecting the innovative nature of the craft industry our selection is always changing so check out our menu boards around the pub for our latest arrivals.